Oh, for goodness sakes, it's been quiet around here. I'm so excited to let you know what I've been up to all these months since I last posted. I've written my second book and it comes out December 5th! 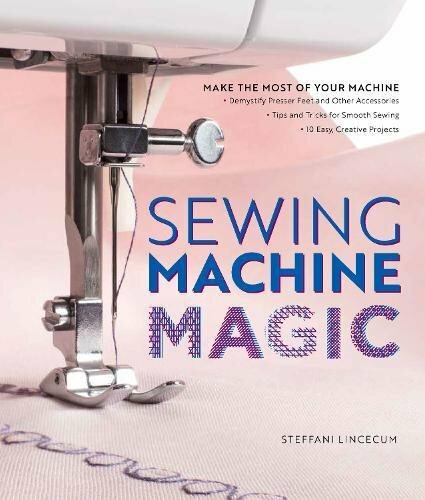 I truly love writing about sewing and the best part of it for me is that love taking in tons of research (research is my FAVORITE thing) from all different sources and distill all that info into clearly written and illustrated pages for people to enjoy. There's nothing better than having someone who's been sewing for years say to me, I can't believe I didn't see that before! Not sure why but for some reason my super power seems to be this taking in of huge amounts of dry technical information and funneling it all into beautiful, easy to understand visuals. This is what makes my heart SING!! 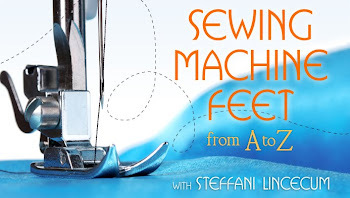 So make sure you subscribe for more information on what's coming next, and get ready to see your Sewing Machine in a whole new way! What dress form should I buy? Here are some key things to note when buying a dress form and why. 1. Get a form with collapsible shoulders. You'll have a really hard time getting garments on and off if you don't. Trust me. This is a very big pain in the neck if you don't have a way to get the garment on and off when working on it. 2. Get a form as close to your size as possible. Go ahead and take your measurements according to the form company's sizing chart and get the closest size possible without going over. You can also get one form between two sizes you use a lot and make a "skin" for the larger size that you use often. Which brings me to number 3. 3. Get a pad set. I used one of these for the first time last Summer and it saved me a ton of time building out a shape from scratch, and it also allows you to jump up in size in a more symmetrical way. If you can, go ahead and just spring for the kit, it will last forever and you'll be glad you did. The only thing that was not great about the kit is the "skin" that comes with the kit. It had a very narrow opening at the bottom which made it difficult to fit. 4. Get a form that you can raise and lower easily and has a heavy stand that rolls. The adjustable forms you get are great if you need something to start out, but if you get one, make sure to make or buy something to weight the bottom or you'll end up flinging it around any time you go to turn the form and work from another angle. 5. Get a form with legs if you'll be making lots of pants and or dance wear. You can't drape pants on a standard form, and once you work on a form that has legs and is suspended from the top you'll never be able to work without one after that. They are really great for using when dying or distressing and you need the garment to be on a body to spray the dye. Just make sure you cover it well with plastic first! 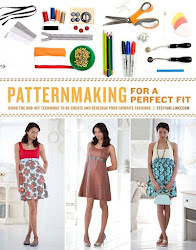 I remember looking this up for some dresses we were making in Grad School, and for some reason it's always stuck with me. Usually a good ruffle is between 1.5-3 times the length of the area you're covering, depending on the fullness you want and the weight of your fabric. When using the ruffler or gathering foot to join and gather or ruffle at the same time, here's what I've figured out. Photos coming soon. Take a sample unruffled piece and mark it clearly with 1" marks along the edge. Then use it to calibrate your ruffle and get one you like. Then mark it again with 1" marks for about 3 or 4" and measure how many original 1" marks within each second 1" section. This will give you the ratio for your ruffle. So if each section has an average of 2.5 marks you have a 2.5:1 ratio. And if you have a 15" straight piece to cover then you need 15 x 2.5"= 37.5" But also add 2" or so of "slop" at the beginning where it isn't ruffled yet and about an inch for your 2 seam allowances. What do you like to use rufflers or gathering feet for? Let me know if you have any questions in the comments.